Chapter 1. What Makes a Question Essential? Chapter 2. Why Use Essential Questions? Chapter 3. How Do We Design Essential Questions? Chapter 4. 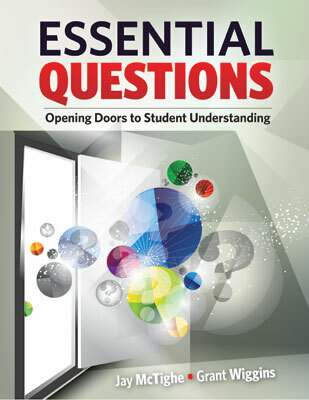 How Do We Use Essential Questions? Chapter 5. How Do We Address Implementation Challenges and Special Cases? Chapter 6. How Do We Establish a Culture of Inquiry in Classrooms? Chapter 7. How Do We Use Essential Questions Beyond the Classroom? Copyright © 2013 ASCD. All rights reserved. No part of this publication may be reproduced or transmitted in any form or by any means, electronic or mechanical, including photocopy, recording, or any information storage and retrieval system, without permission from ASCD.